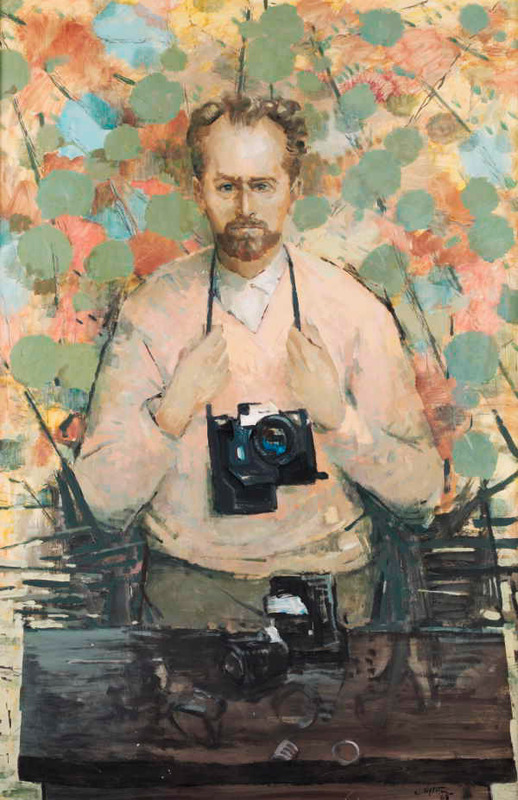 When Clifton Pugh painted his portrait of photographer Mark Strizic, he showed a camera hanging from his neck. Strizic is holding the strap in an affectionate, possessive way, and Pugh painted it with just enough detail to distinguish the make and model. It was a Nikon F with the Photomic attachment, one of the great cameras of its time. 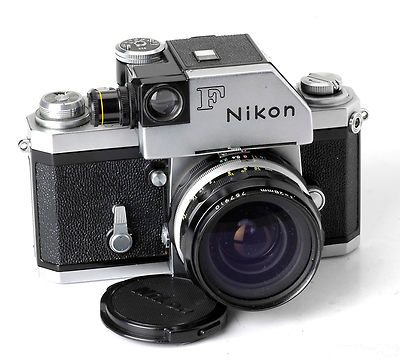 The Nikon F single lens reflex was the game changer in the 35mm format when it arrived in 1959. It was so good it seriously threatened other traditional leaders in the camera market. It was a sturdy camera and was adopted by photojournalists all over the world, replacing the legendary Leica in this role. That boxy attachment on top is the Photomic light meter, an accessory that got around the need for a handheld meter. The circle just left of the letter F is the Cds cell. In later models, the light meter was built internally in the camera: through-the-lens metering, a giant step in its day. Strizic favoured 35mm photography and he became a master of differential focus and contre jour lighting which the reflex viewfinder made practicable. This commissioned portrait was made in the same year as the Clifton Pugh portrait of Strizic, 1968. You can see how the reflex viewfinder of the Nikon would help in establishing the areas in focus. Grimwade is positioned in a zone of sharpness between the baby and the woman. The baby is closest to the camera, although it appears at first glance that Grimwade is in front of both. It’s a great example of shallow depth-of-field, something that Strizic was very good at. 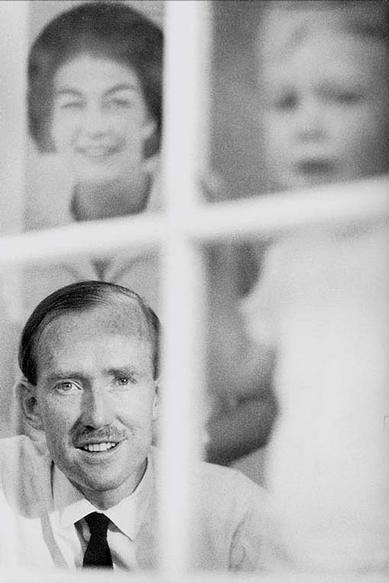 He created a distinctive body of work along these lines in his portraits.